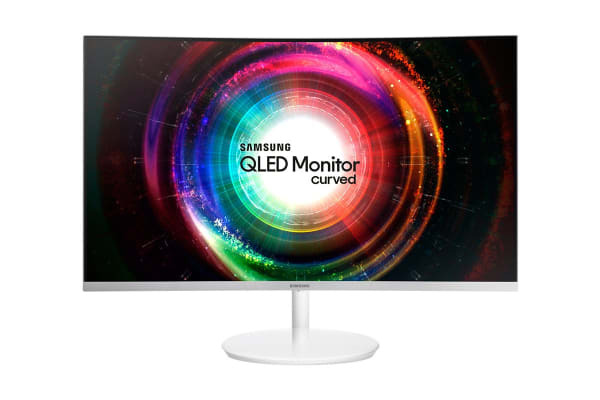 The Samsung 32” WHQD Quantum Dot Curved Monitor delivers rich, vivid colours bringing movies, sports broadcasts live-streamed gaming and more to life. 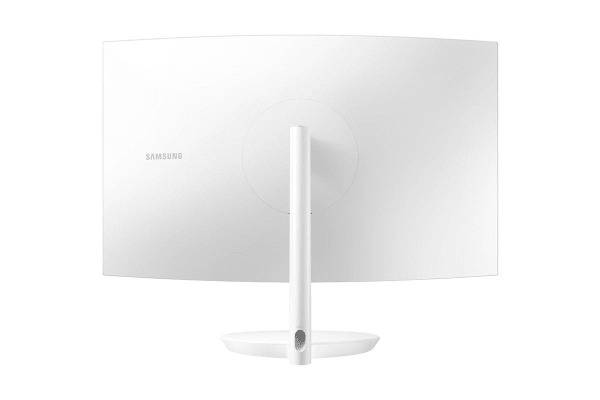 Designed to wrap around your field of vision and draw you deeper into onscreen movie and gaming action, the Samsung 32” WHQD Quantum Dot Curved Monitor screen delivers a truly immersive viewing experience. 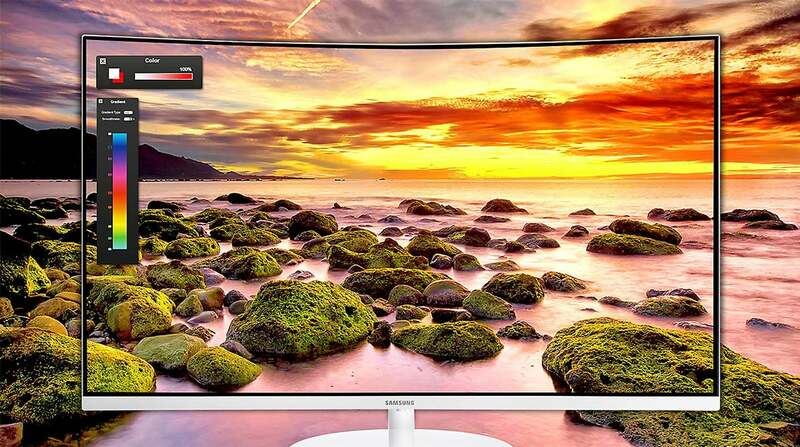 Advanced Quantum Dot display delivers rich, vivid colors bringing movies, sports broadcasts live-streamed gaming and more to life. 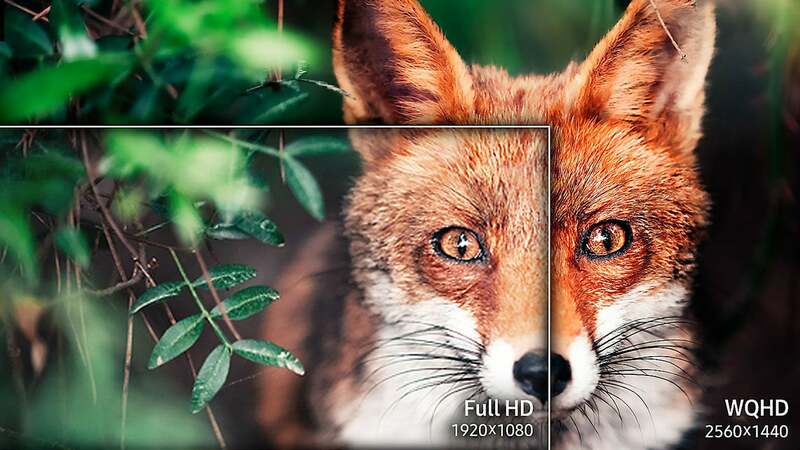 Multi-coated semiconductor particles help ensure long-lasting image quality while Samsung’s unique cadmium-free technology is designed minimise harm to the environment. 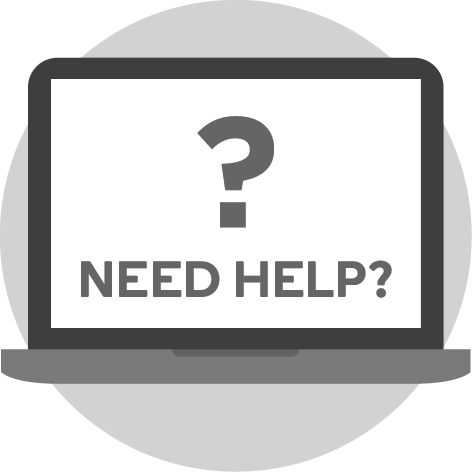 With up to 1.7 times the pixel density of Full HD, WQHD not only delivers incredibly detailed, pin-sharp images, it also creates a wider workspace that lets you view more of documents and webpages onscreen with less need to scroll or zoom. 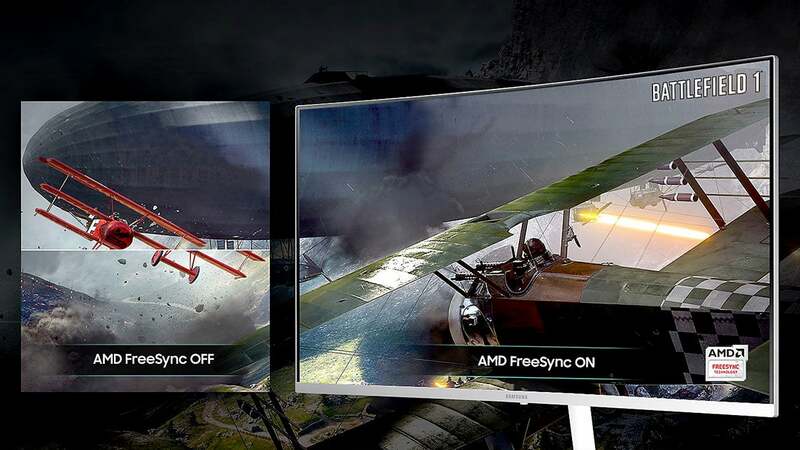 With AMD FreeSync technology you’ll enjoy smooth gameplay in any kind of action. 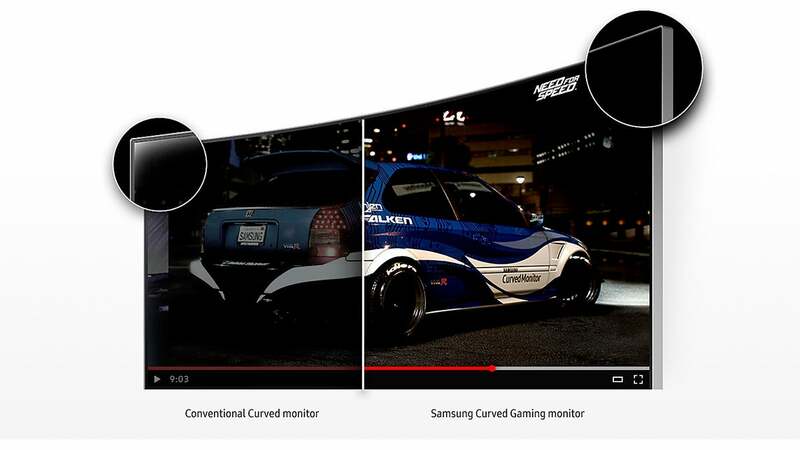 And Game Mode lets you effortlessly select screen settings optimised for different game genres to ensure you can see darker areas in more detail in game scenes. 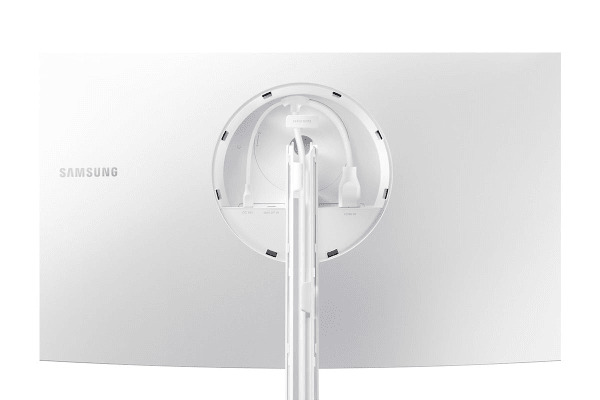 Samsung’s advanced VA panel technology is designed to minimise light leakage across the entire screen, even at the corners and delivers a 3000:1 contrast ratio for deep blacks and brilliant whites in both dark and bright scenes. By helping to minimise blue light emissions that cause eyestrain, Eye Saver Mode is designed to minimise eye fatigue and provide a more comfortable viewing experience.